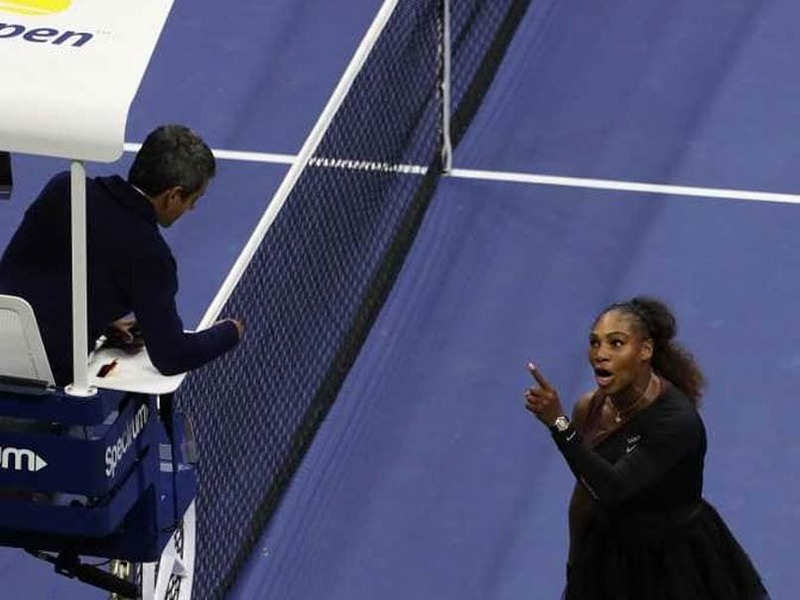 Serena was fined for coaching, racquet abuse and for verbal abuse when she accused umpire Carlos Ramos of being "a thief" during Saturday's stormy final. Serena Williams has been fined $17,000 by the US Tennis Association in the wake her outburst during a controversial US Open final loss to Japan's Naomi Osaka. The American star was fined for coaching, racquet abuse and for verbal abuse when she accused umpire Carlos Ramos of being "a thief" during Saturday's stormy final. Williams was incensed at the coaching violation, although coach Patrick Mouratoglou, sitting in her box, admitted that he was coaching when he moved his hands. That violation carried a $4,000 fine, while a second violation for racquet abuse - after she smashed her racquet after dropping her serve in the fifth game of the second set - cost her $3,000. Williams insisted that her coach Patrick Mouratoglou had not been coaching her even though the Frenchman told ESPN that he had and that all coaches do it. Williams said women players are treated differently to their male counterparts in the sport. "I've seen other men call other umpires several things. I'm here fighting for women's rights and for women's equality," said the 36-year-old. Williams made reference to the incident last week when French player Alize Cornet was warned for removing her shirt on court. Cornet was accused of "unsportsmanlike behaviour".